The 147-pound division has always been a glamour division in boxing. If you ask any boxing fan or pundit what the best division in boxing is today, 147-pounds is likely to be close to the top. However, there was a serious void at 147 pounds for close to two years, as Keith One Time Thurman was shelved with multiple injuries. For as great as Errol Spence Jr. appears to be, he needs a win over Keith Thurman for all of us to really know how great he is. As soon as Terence Crawford moved up to 147, the first thought was, I hope a fight with Thurman can be made. Unfortunately, with Thurman’s injury, the narrative is now Crawford vs Spence Jr. as the number one fight the fans want to see at 147. Can Keith Thurman get back to that status once again? For me, he is already there. I appear to be in the minority with this belief, however, and I am not sure why. Even before Keith got injured, he was considered to be inferior to both Crawford and Spence Jr. To have this belief is to grossly undervalue One Time’s skills as a pugilist. Keith is a short fighter who can fight tall, he can get inside and put punches together well, and he has the best one-punch power shot in the division. Thurman is a nightmare stylistically for anyone. With that said, I do not think it is style or skills that cause so many boxing fans to criticize Thurman. For some reason he appears to rub many people the wrong way. What it is about him? Is it the long hair? Is it the fact that he is more Zen and philosophical that most fighters and fans? Cerebral? Is it the flute? It is probably a portion of all the above, and then some. 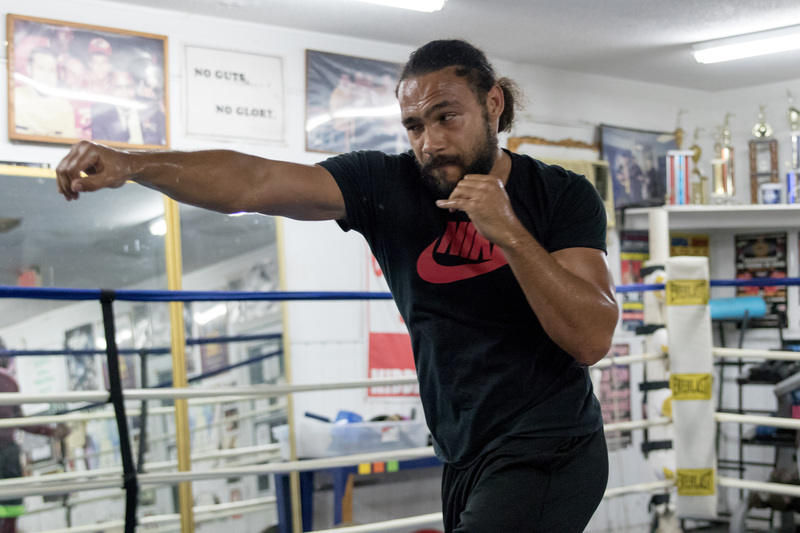 If Keith Thurman was born in another country, he would be a boxing God amongst his people. No doubt. Americans tend to hate and want to bring a man down when they are great, rather than embrace them. Some men more than others. Keith Thurman is one of those fighters. Errol Spence Jr.’s best win is over Kell Brook, and not much else to get greatly excited about, despite him being an all-world talent. Terence Crawford’s biggest win is against was Viktor Postol, followed by a bunch of solid opponents, but nothing close to the caliber of Shawn Porter and Danny Garcia. Even with the best resume of the three, Keith Thurman gets ridiculed. In his comeback fight against Josesito Lopez, Thurman was brilliant right out of the gate. Sharp, and putting punches together most fighters would not be able to duplicate after such a long layoff. Thurman got carless and caught later in the fight and was being knocked around like a rag doll. It if were not for a solid chin and world class heart, Thurman’s comeback fight would have been a big fat L. But all anyone can talk about is how he was in trouble, FOR ONE ROUND. When haters hate, they pull out all the stops. I want to be clear, while I favor Keith Thurman over both Spence Jr. and Crawford, I in no way think Thurman cannot lose those fights. These fights are very close to being even. My overall point is that Keith Thurman has been a joy to watch, is one of the best skilled fighters in the world and has one of the best resumes in boxing today. It is time to acknowledge as much. The brutal truth of the situation is we might not see any of these fights in 2019 or thereafter. Spence is set to fight Mikey Garcia, Crawford is set to fight Amir Khan, and Thurman will probably fight Manny Pacquiao next. So there goes the first quarter of 2019. Also, there are plenty of good and deserving 147-pound fighters out there to keep all three busy, and respectable, for a long time. The public will demand it, but they may never get to see a fight with any two of the best three 147-pound fighters today. That is what makes boxing frustratingly unique. With that said, Keith One Time Thurman has been one of the more honest, straightforward fighters, willing to fight the best opposition up until his injuries, and most boxing fans dump all over what he as done. So, maybe many boxing fans deserve to be teased and disappointed, because when they get a good thing, a marvelous talent, they do not appreciate it. Now that Keith Thurman is back, boxing is better off and we all should hope One Time is healthy from here on out.